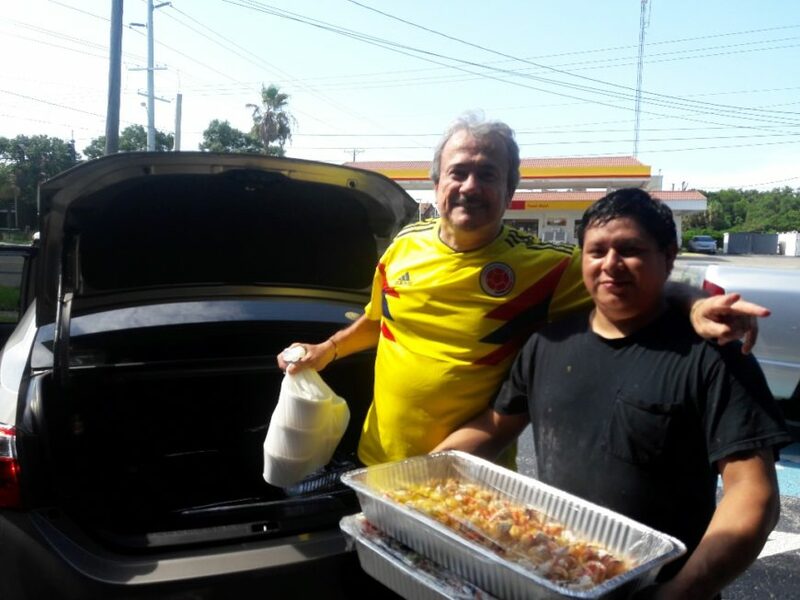 Restaurant owner, Luis Zamora, Vino E. Pasta, loads up the delivery car with a feast for the Fisher House families. 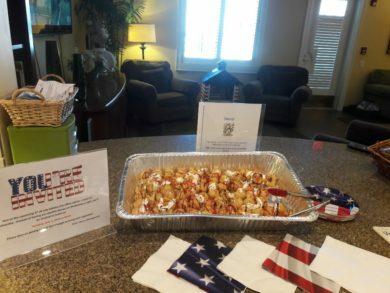 AUSA Suncoast Chapter past President, COL. Jorge Rodriguez (retired) and restaurant owner, Luis Zamora, of Vino E. Pasta, Tampa, teamed up to provide a 5 star lunch for the families lodging at the Fisher House at James A. Haley VA Hospital, Tampa, FL. 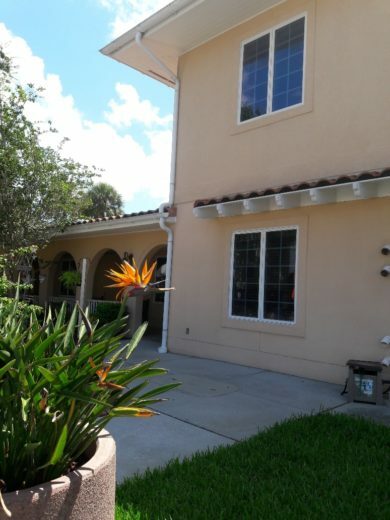 The 20 families and loved ones residing at the Fisher House were treated to a lovely Italian luncheon buffet, July 3, 2018 consisting of a vegetable antipasto, a fresh garden salad complete with house balsamic vinaigrette dressing, a creamy tomato ziti pasta entree, oh so tasty chicken marsala, Italian bread with a fine pesto sauce/spread topped off with petite cream puffs and drizzle. 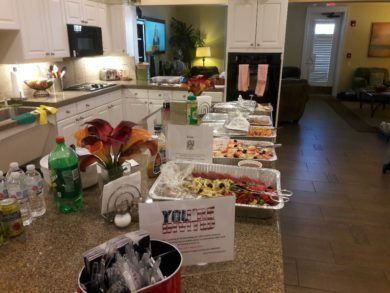 A huge thank you to Suncoast AUSA and Vino E. Pasta for blessing these families, whose loved ones are undergoing treatment at the hospital, with a wonderful luncheon at the Fisher House.